Yes! Your correct, Kali class will be available on this coming 24th May. 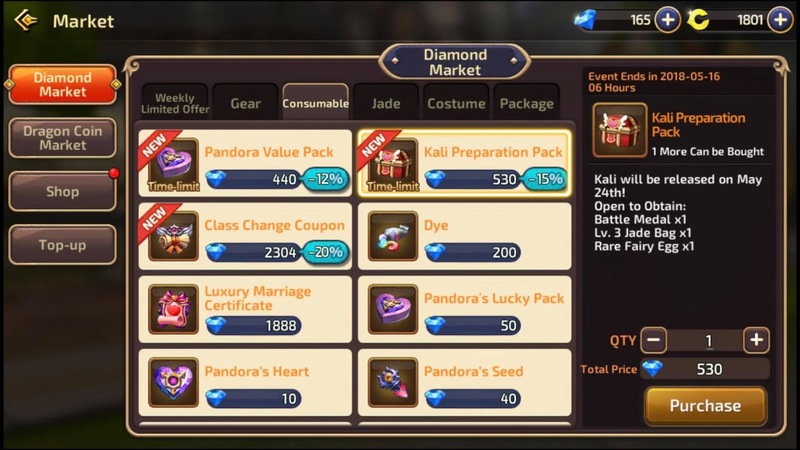 I don't know much about this class yet but in the Market, you can prepare for its release with the Kali Preparation Pack now at 530 diamonds with less 15% discount. Kali Preparation Pack contains 1 Battle Medal, 1 Lv. 3 Jade Bag and 1 Rare Fairy Egg. This is a good news to all DN old players that currently back on track with Dragon Nest M.